Plan your life like you plan your business…only better! 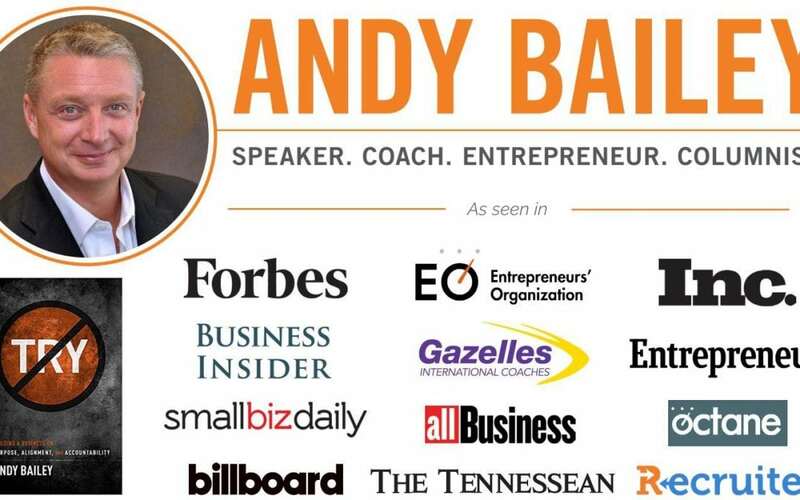 Andy Bailey will crush the myth of time management and focus on goal setting, efficiency, and priority management. After providing goal discovery and execution techniques, Andy will delve into four priority management techniques. Attendees will receive a signed copy of his new No. 1 Amazon Best Selling book, No Try, Only Do.